If you don’t like flashing metal every time you smile or if your tooth requires cavity treatment, white fillings, also known as composite fillings or mercury-free fillings, can give your tooth its strength and natural appearance back. White fillings are porcelain or resin-composite dental materials designed to blend perfectly with the existing structure of your tooth. 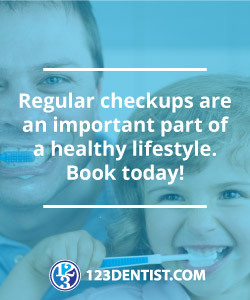 Contact us today to see how your smile can truly take you places.